The first Assemblies of God church I attended after accepting Christ had an effective discipleship program that left a mark on my life and ministry. Within ten days of responding to an altar call, I was learning basic biblical truths: salvation, prayer, the Bible, the church, and the baptism in the Holy Spirit. My mentor, one of the associate pastors, encouraged me to complete the discipleship program. During that time, the Lord called me to ministry and to missions. Soon thereafter, my mentor persuaded me to enroll in the district’s night Bible school. Before I knew it, I was serving in other areas of ministry. Prior to missionary appointment in 2008, we served in bivocational ministry in South Florida for approximately twelve years. I worked as an accountant as we pastored in multicultural Hispanic churches. I also taught at the night Bible school. Our emphasis in ministry was making new disciples; helping discover gifts, talents and calls; and assisting in training new ministers. Not long after our arrival on the mission field we realized that sound biblical instruction, intentional discipleship, and relational mentoring must be at the center of the work of the missionary. Soon after our arrival in March 2010, I was invited to participate on the National Christian Education Commission. Involvement in this commission has given me a clearer understanding of the vision and plans for Christian education of the Assemblies of God in Costa Rica. Also, developing relationships with national church leaders and other commission members has helped forge teamwork, cooperation, and partnership. 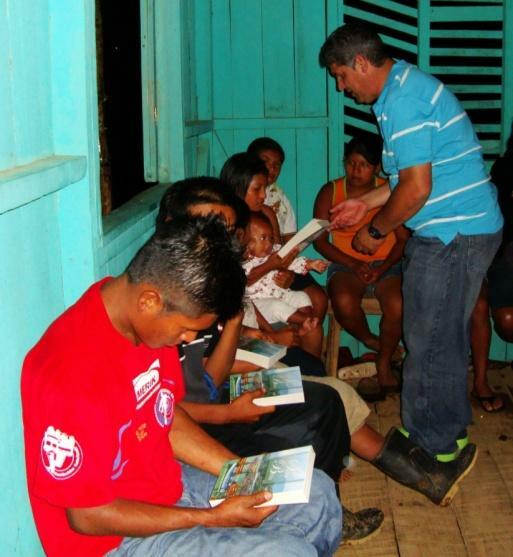 Several months later, I taught a six-week intensive course at one of the Bible School extensions hosted by a rural church located about an hour outside of San Jose. Not only was it a time of biblical instruction, but also a time to build relationships with students and the host pastor. A great friendship with the pastor and his family was developed. Subsequently, the pastor and I co-hosted a short-term missions team that ministered to pastors and leaders in the region and helped plant a new church in a town that did not have an evangelical church until then. As I continue to teach in other extensions and in the Central Bible School, I have had the pleasure of meeting wonderful students that are involved in and preparing for ministry. Mentoring relationships have grown over time from the initial instructor-student relationship in the classroom. Wilberth is one of my students with a call and passion to evangelism. In preparation for an Ambassador in Mission (AIM) team, I asked Wilberth to assist a local pastor and me with planning and organizing a two-day children outreach. Working as a team, we ministered to over 200 children and their families. As a result, several new families are attending the church that co-sponsored the event and are currently in a discipleship class. Ronald and Johnny are two other students that have been in several of my classes. They dedicate one weekend each month to minister to a group of believers among the Bribri indigenous people in Costa Rica. 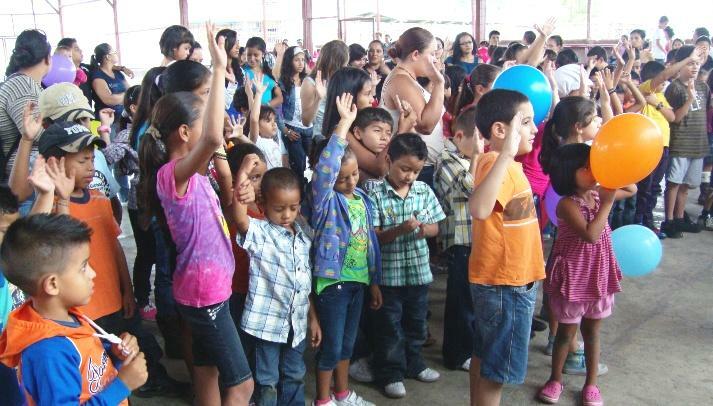 They help train pastors and leaders, provide clothing to needy families, and assist in providing basic needs such as running water in remote areas. They were looking for teaching resources adaptable to their monthly missions trips. Global University’s Christian Life and Christian Service series was a great match. Two months ago, I went with Ronald and Johnny to assist in setting up two study centers in the Talamanca Indigenous Reserve. 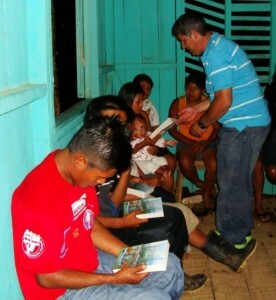 With the help of Project Timothy, over 55 pastors and church members received their first study guide and a Bible. Robert J. Banks celebrates Bible institutes and Bible colleges for their emphasis on spiritual formation and skills development. He criticizes seminaries that emphasize “knowing, at the expense of doing and being”, focus on “knowledge-based and classroom-dependent instruction”, and “continue to ignore the being of the student, to exalt professionalism over calling and vocation.”1 As missionaries, we must not lose sight of the responsibility we have in teaching, mentoring, discipling, training, and developing ministers. We must instruct, but we must also influence, encourage, and empower others. We must teach sound biblical doctrine and theology, and we must also make disciples and develop leaders. We must “go and make disciples of all the nations” and “teach these new disciples to obey all the commands [Jesus has] given” (Matt. 28:19-20). But, we must also “equip God’s people to do his work and build up the church“ (Eph. 4:12) and “teach these truths to other trustworthy people who will be able to pass them on to others” (2 Tim. 2:2). 1. Banks, Robert J. 1999. Reenvisioning theological education: exploring a missional alternative to current models. Grand Rapids: Wm. B. Eerdmans Publishing. page 135. Thanks for sharing! I appreciate the emphasis you give to combining academics and ministry. We need more teachers like you that are willing to involve their students in practical ministry. At the very least, we must weave ministry activity into our course plans. Thanks for your commitment to ministerial training. Thanks Miguel, for the wonderful testimony. You are certainly a testament to a successful first term missionary. I wish you and your family the very best in you career in serving HIM in Costa Rica. I have heard nothing but GOOD from the pastors and nationals of the country about you and your dedication to serve. Keep up the Good Work. It has been great to see Miguel’s passion in action. Great article Miguel and keep up the great work. 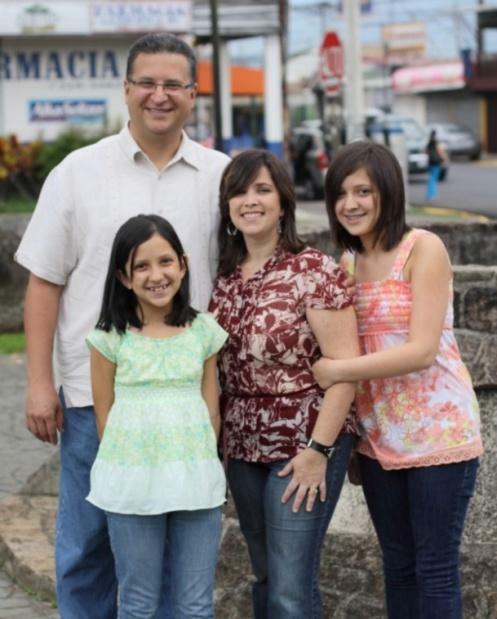 It’s a pleasure working and ministering in Costa Rica with you and your family. My family and I are newly appointed missionaries to Costa Rica. We are about half way through itineration and hoping to hit Costa Rica by May. My wife and I also have to girls that look about your girls ages, they are 7 and 10. We will be working in the area of community health evangelism and teaching new church planters these tools to better engage and minister to their communities they are trying to reach. I was very excited to read your testimony, anything about Costa Rica excited me these days, and look forward to getting there and meeting you and your family. Keep up the exciting work! Congratulations on a good article. You are a testimony to the value of getting in and finding your place in the first term of service…meeting the needs at the basic level! As your relationships and experience grows, so can the depth of your involvement in teaching and training not only this first group of local leaders, but also another generation of workers to carry on for themselves in training others.